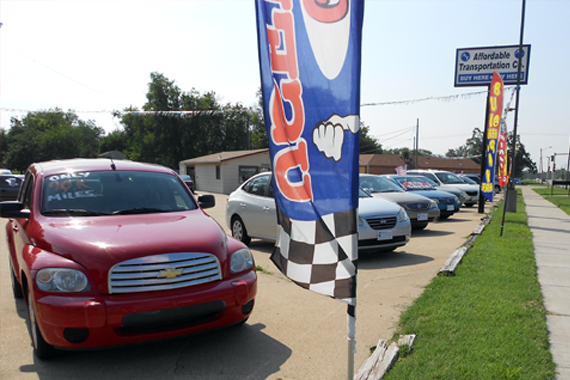 Affordable Transportation Company is an in-house, buy here pay here, used vehicle dealership! Bad credit? No credit? NO PROBLEM! "Looking for something in particular? Let us handle it!" "Helping our community keeps our wheels turning. " "The seasons may change, but our dependable service is here year-round. " "The key to your future on the road starts with us. " "Our expertise is finding you the perfect car." MaryEllen and Taryn were great, as always! Yes, I'd like to receive news from Affordable Transportation Company - Salina. Sign up for the Affordable Transportation Company - Salina Newsletter!